Last edited by Sandy R on Wed Apr 04, 2018 7:49 pm, edited 4 times in total. This is a beauty, Sandy. Lovely composition with the bend in the tulip and the leaf hanging low. 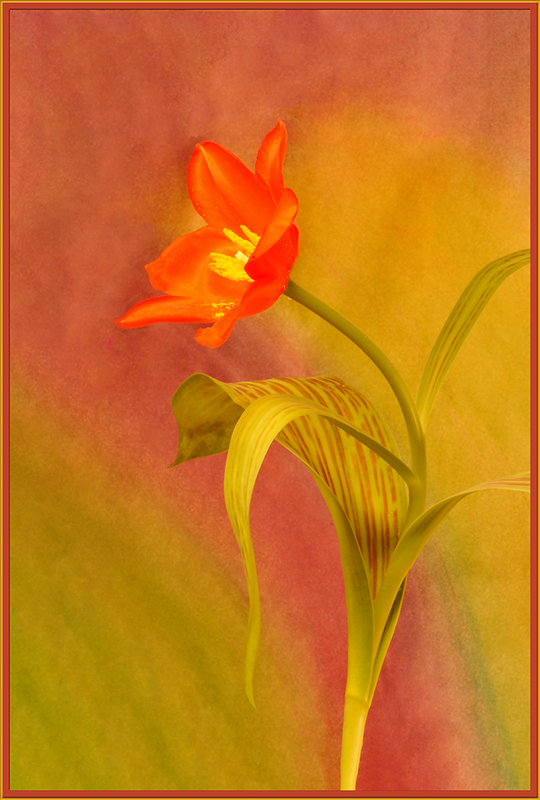 Wonderful color palette with a background that complements the tulip perfectly. And very nice background textures. Excellent. Sandy, this is gorgeous! Your background colors match beautifully and complements the tulip perfectly (oh, I just noticed Ron said the exact same thing....great minds, and all....) . This one's a real treasure! Love how perky the flower looks , as if dancing in the frame as well. Hooray Spring! !